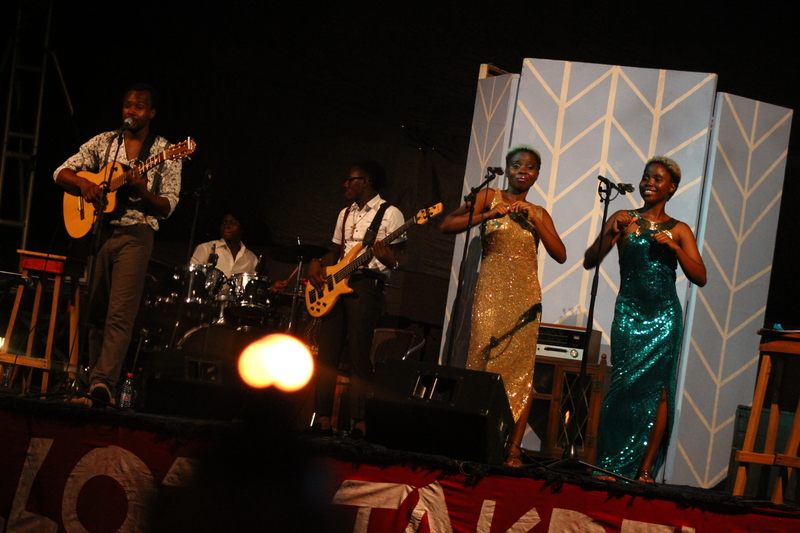 In April 2015, we previewed Act I of an experimental highlife musical written by Artistic Director Elisabeth Efua Sutherland at the Live in Accra 2015 Jazz festival hosted by Alliance Francaise. Mod fashion, heavy funk, local highlife, two feisty singers and a heartbroken jazz pianist populated this musical comedy set in 1960s Accra. An exploration of the music scene in Ghana & West Africa at the time, the play includes original songs and covers of songs selected from the period, bound together by the story of Diva Stepchild, an up-and-coming funk duo whose concert pianist (Elliot Yorke) has just been dumped by his fiancé. Will Elliot Yorke get over his heartbreak in time for their big debut, or will political unrest sabotage their one shot to make it big in West Africa? The audience responded well, and there was particular resonance with older members of the audience who wanted us to delve deeper into the atmosphere surrounding the 1966 coup in particular, as they felt that there was not enough new media critically exploring the period. Younger members of the audience were fascinated with the songs and the funky highlife covers that were played. We intend to continue the development of this show as time goes by if we can secure funding to do so. The lead roles, played by Kyekyeku and the twins Winnie and Amanda, will be fleshed out fully over three acts with more original songs and a deeper look at Ghana’s past political climate. This entry was posted in Uncategorized and tagged 1966 coup, Accra, africa, Art, audience, contemporary, dictator, efua sutherland, funding, general kotoka, Ghana, guitar highlife, highlife, kwame nkrumah, kyekyeku, music, musical, performance, politics, script, theatre, workshop. Bookmark the permalink.